Attention, beer lovers! 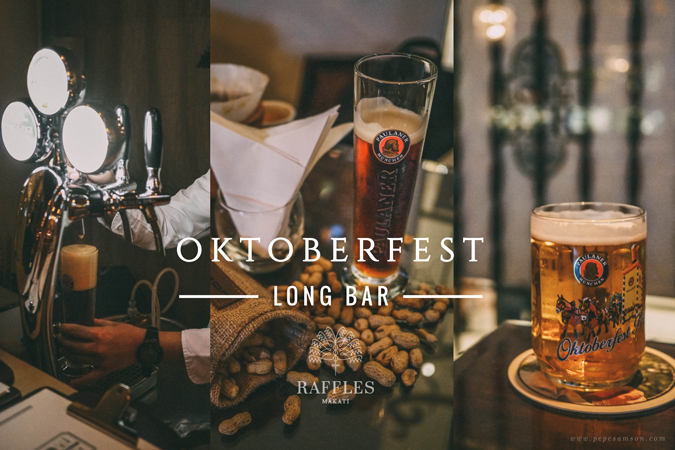 This month, Long Bar at Raffles Makati is celebrating a German-inspired Happy Hour with their version of the Oktoberfest. 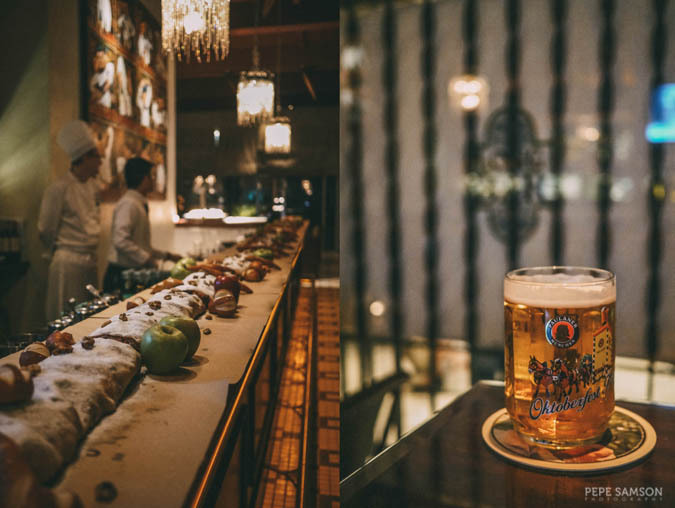 Every day from 5:00 to 8:00 PM, indulge in unlimited Paulaner beer and other German specialty brews alongside endless servings of selected cocktails and liquors—all for only PhP695 per person. How cool is that? 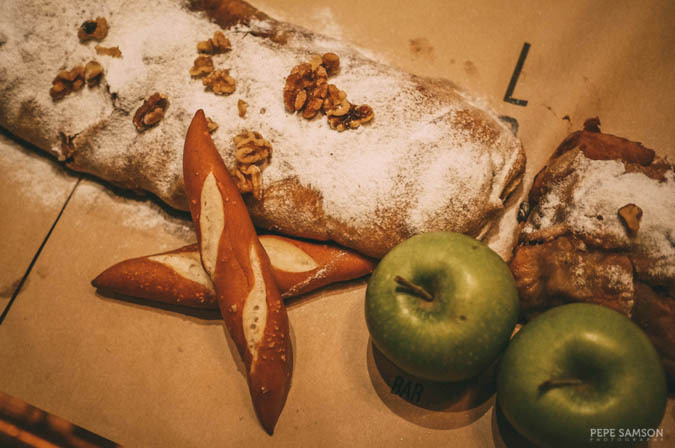 Experience this luxe take on the famous Bavarian tradition inside the elegant Long Bar. 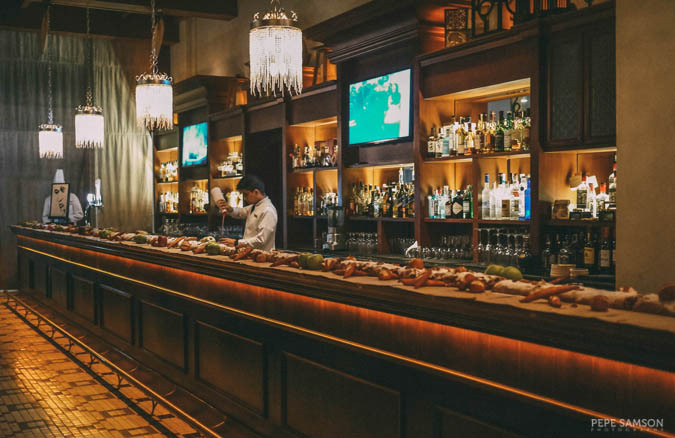 Sit back and let the soothing ambiance consume you—make sure you drag your friends over so you can prost over your favorite drinks. 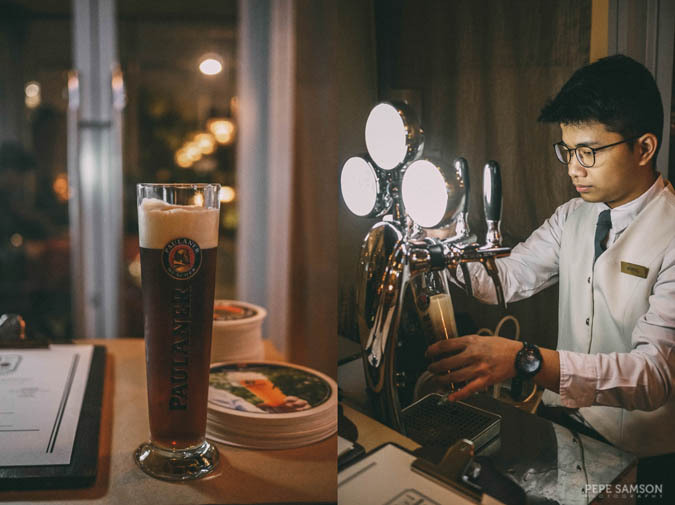 Paulaner is available on tap and in four variants: the classic lager, the dark lager, the weissbier, and the special Oktoberfest brew. My favorite is the dark lager (Dunkel), but I highly recommend trying them all! You can also order San Miguel beers, Heineken, Corona, Budweiser, and Warsteiner Premium Pilsner. More of a cocktail person? 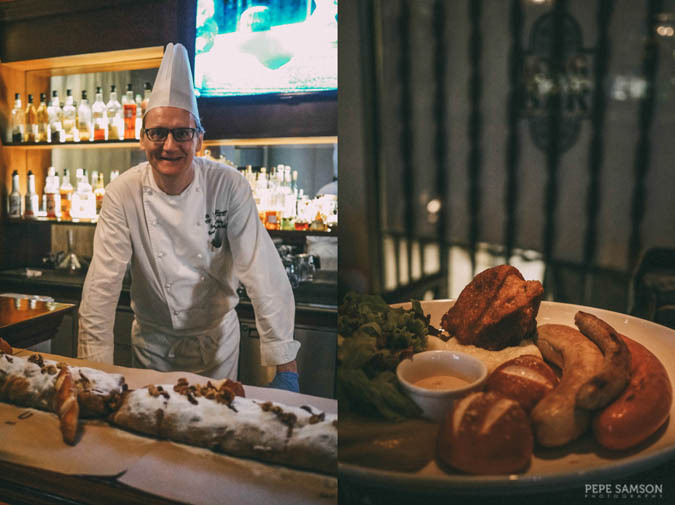 Fret not because 3 of Long Bar’s signature concoctions are included in this Happy Hour promo. 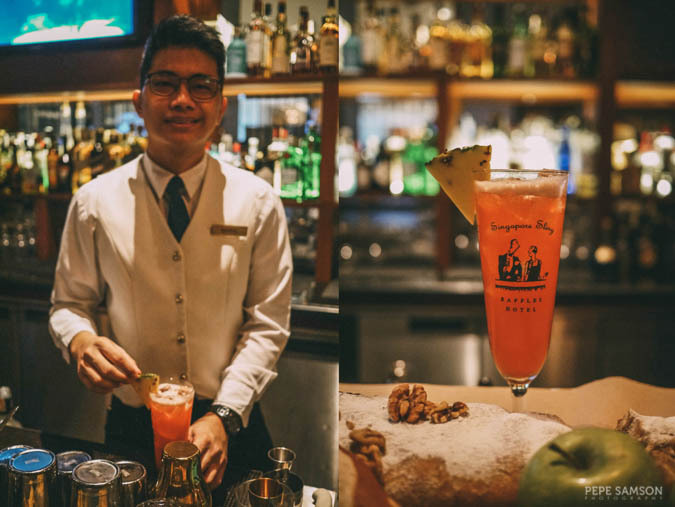 The Classic Singapore Sling is a must-try—after all, it was Raffles Hotel which originally created it before it became adopted in bars all around. Don’t be fooled by its air of innocence—it has Bombay Sapphire, Cherry Heering, Cointreau, and Angostura bitters, finished with fresh lemon and pineapple. Your two other options are the Lychee Martini (house-infused lychee vodka) and Rain or Shine (Bacardi Casablanca, carrot juice, guava juice, lime juice, fresh mint). If you prefer it simpler, order some gin, vodka, whisky, or rum—also included in this promo. 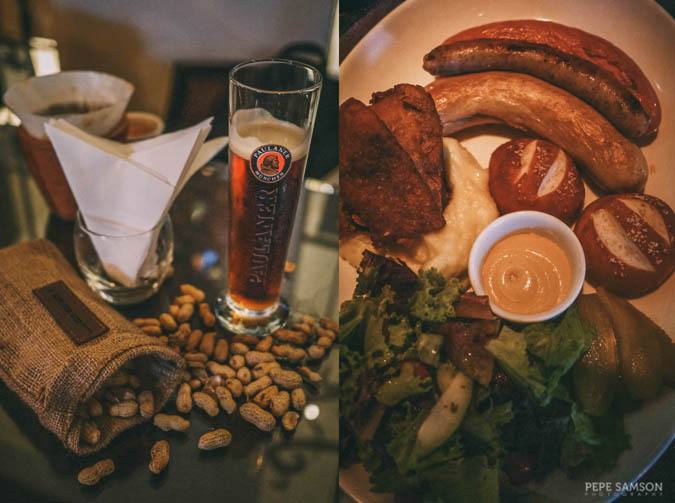 This special offer also includes an appetizer sampler, but if you want to get a taste of Germany fully, get the Pork Knuckle and Sausage Platter (PhP1,250)—loaded with Schweinshaxe, veal Bratwurst, Thuringer, Frankfurter, classic pretzel, apple strudel, mashed potato, sauerkraut, pickles and mustard. The sausages are to-die-for and the mustard is inexplicably addicting. 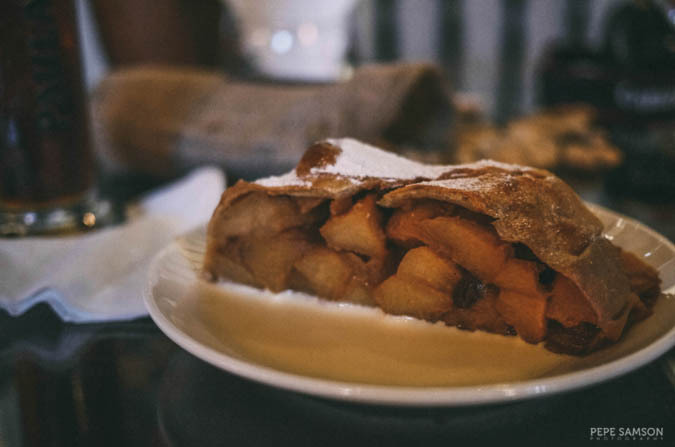 The strudel? Best one I ever had. Extend the enjoyment until 10PM and add only PhP300—because you know, beers and long conversations always go hand in hand. 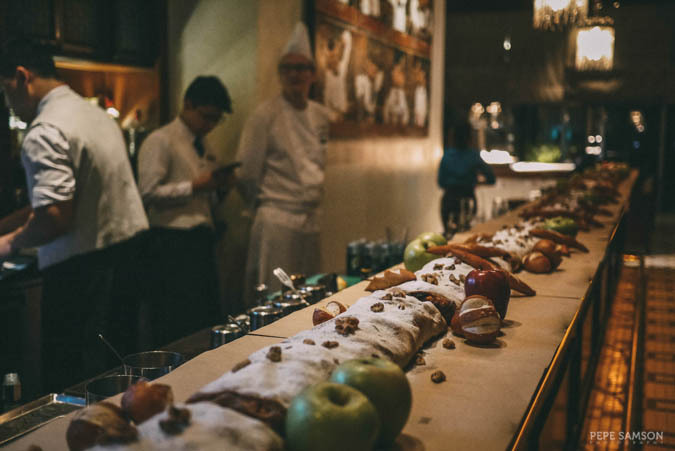 Call Raffles Makati at 795-1840 or email dining.makati@raffles.com to reserve and experience a lush take on Oktoberfest. See you there with my macho mug of dark lager! Have you been to Long Bar? What did you think about their Happy Hour promo this October?